To make matters worse, I knew that the drivers I was competing against had either flown home or were staying in nice hotels. And me? We popped open The Tent-Trailer behind The Truck and crawled in. At least it was well-equipped, with two beds, a small table, and a storage area under one of the beds that I used as my office. My office was about two feet by two feet and one foot deep, and it held all of my paperwork. Professional team that we were, we had to have paperwork. The day after we got back to Toronto, I made arrangements with a car dealer to borrow a car to use for a few days, rather than having to drive our truck-with-home-attached everywhere in the city. The plan was to pick up the car before the dealership closed at nine that evening; we just needed to drive the truck there. It didn’t take long for a problem to arise. One of the front wheels on the truck cracked, which pinched the tube in the tire and caused it to go flat. The wheel was so old and rusted that the whole thing actually cracked! Oh, what fun The Truck was. That meant we needed to replace the wheel, but now we couldn’t drive the truck. 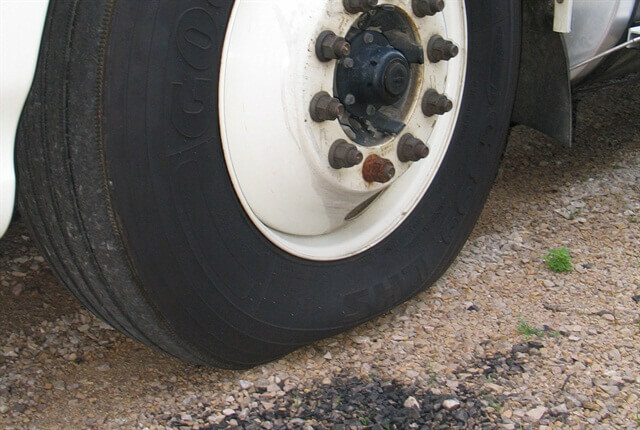 Lucky thing, this business of being able to borrow a car…we could take the truck wheel to a shop to have it replaced. But now how do we get to the dealership? We were in a campground about fifty miles outside downtown Toronto, where the dealership was. A combination of walking and hitchhiking got us to an area where we could catch a bus. We rode the bus to the train station (the first time I’d ever ridden public transit). Then we took a train into Toronto (the first time I’d ever been on a train), finally arriving at 8:50 pm. We dashed out of the train station into the street and began frantically hailing a cab (another first for me). Luckily, a cab was nearby and it took us to the dealership, where we arrived just as they were closing. But they did give us our loaner car. The next day we got the truck’s front wheel replaced and the flat tire repaired. I thought to myself, “I really should replace the other front wheel as well—it’s just as rusty—but I just can’t afford it.” A few days later, Gord and I took off for the Mid-Ohio race. Along the way we got another flat tire, but it’s a rear this time. We did have a spare rear tire, so on it goes, and our plan is to have the one that just went flat repaired after the race weekend. Following the Mid-Ohio race, which improved to “slightly better than sucked,” we began the long drive back to Vancouver. I had driven the best I could in the race, given my challenged physical and mental state, but it was obvious that our hastily-home-built race car was not up to the task. The plan was to go home to Vancouver and make changes as part of the car’s development. Join me next week for another glimpse into the glamorous life of a professional race driver. Click here to go to Part 5.